Discus cronkhitei (synonymous to Discus whitneyi) is a land snail about which very little information is known. Few scientists in the United States research terrestrial gastropods (land snails), but Kathryn Perez is one of those. The purpose of this website it to make information about these lands snails easily accessible to the general public. Due to the fact that much information is unknown about individual species of land snails, not all information will be specific to Discus cronkhitei. General information about the class, family, or genus will be noted. The best way to start learning about Discus cronkhitei is to know how to classify it. 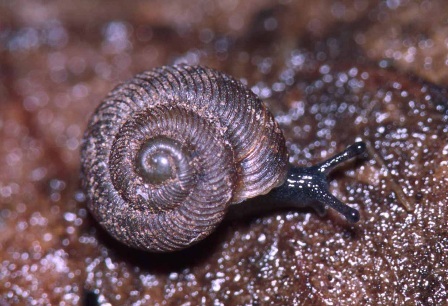 For information about other lands snails in Wisconsin, visit Wisconsin Land Snails. For information about other organisms, visit Multiple Organisms. If you have any questions, comments, or concerns about this website, feel free to contact me.